In his most famous and controversial book, Utopia, Thomas More imagines a perfect island nation where thousands live in peace and harmony, men and women are both educated, and all property is communal. Through dialogue and correspondence between the protagonist Raphael Hythloday and his friends and contemporaries, More explores the theories behind war, political disagreements, social quarrels, and wealth distribution and imagines the day-to-day lives of those citizens enjoying freedom from fear, oppression, violence, and suffering. 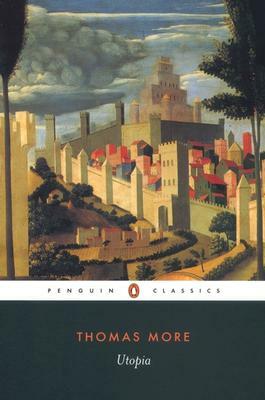 Originally written in Latin, this vision of an ideal world is also a scathing satire of Europe in the sixteenth century and has been hugely influential since publication, shaping utopian fiction even today. Thomas More was born a Londoner in 1477 or 1478. He served as a page, then studied at Oxford, was called to the bar and subsequently had a highly successful career in the City. Sent on an embassy to Flanders in 1515, he began Utopia there and completed it back in London. From 1528 he actively resisted innovation in religious matters and clashed with Henry VIII over his break with the Church. In July 1535, after he refused to accept the royal supremacy over the church, he was tried as a traitor at Westminster Hall and beheaded on Tower Hill. He was canonized by Pope Pius XI in 1935.